Over the years, Android has introduced many eminent features. It was a remarkable journey from Android’s first version cupcake to the current one Oreo and we have seen many new things added with every version released. However, there is still one feature Android Miss out which iOS has just released with their latest version iOS 11 i.e. a native screen recorder or game recorder. 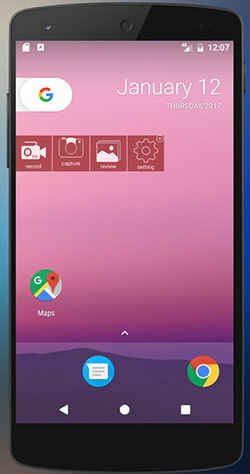 Till Android comes up with this functionality in near future, there are a bunch of custom screen recording softwares or game recorders you can rely on. Let’s begin our list with 16 best screen recorders we heartily recommend you to use. 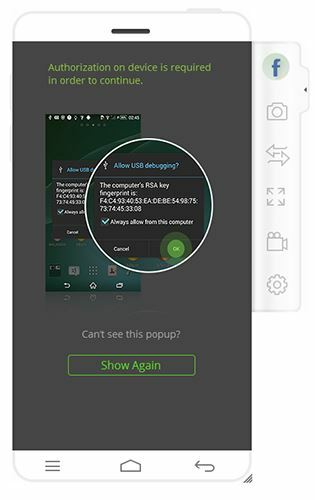 iSkysoft Toolbox - Android Screen Recorder is a reliable screen recording software by iSkysoft that can display your Android device’s screen on the computer just by connecting it with a USB cable. The program is fully protected from virus and other type of malicious activities. 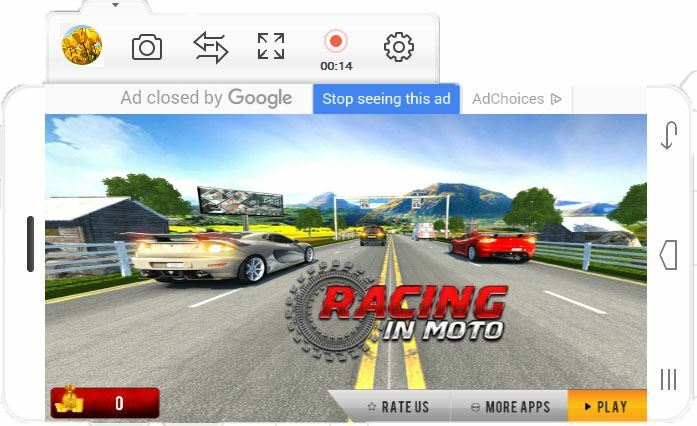 You can use the tool to work as a game recorder, record videos or any other activity that is running on your Android screen directly from PC with some easy steps. User Interface: It has a smooth user interface with easy to use functions. Lag free mirror: The program can virtually transform the computer screen to display your complete Android interface without any lags. 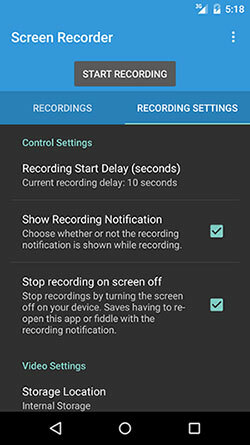 Quick recording options: There is one proficient feature you can use that can start the recording of your Android instantly using “One Click Record” option. Functionality: The program allows you to operate your Android device directly from the computer. You can also use this feature to reply to text messages, use WhatsApp and lot more. Support: Software is fully compatible with almost every the Android devices. Download and install the program and run it on your computer. You can download it from the "Free Download" buttons on this page. Connect your Android device with computer using a USB cable. On the home screen of the program, you will have various options, just click on the option “Screen Recorder” available on the bottom left. 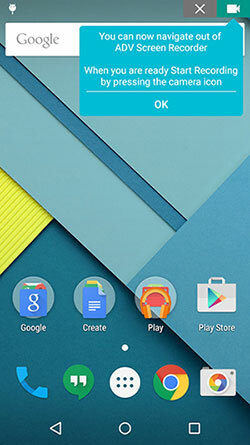 Make sure to enable USB debugging option from your Android device settings. 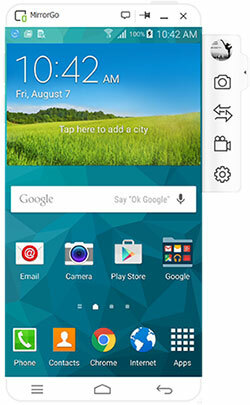 The program will automatically detect your Android device and it will mirror the Android screen on the computer. You can operate it using your mouse. Now on the right navigation bar click on the “Record” button to open a pop-up window which will have a “START NOW” button. Press the button to initiate the recording process. Once you are done, click on the red circle button to complete the recording and the file will be saved on your computer. This app tops our list due to its versatile features and the fact that it is the best reviewed screen recorder or game recorder app on Google play having a good feedback by the users. You can record videos and save them in different resolution and frame rates. 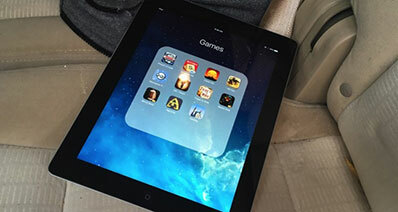 Game Screen Recorder is a recording app specially designed for games. It identifies the game instantly to start thegame recorder and it also got several features such as Prologue editor, transparency tool, advance engine and much more. 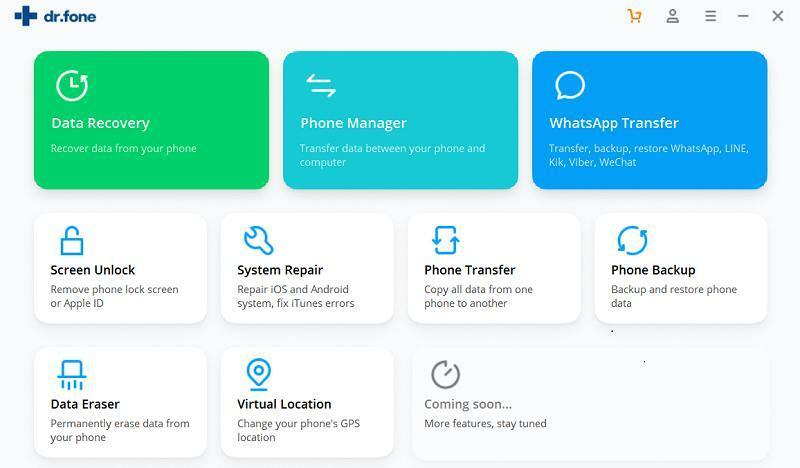 Here is one more screen recording software which is free of cost, but it does require root if your device is having Android version 4.4 or below. Rec. 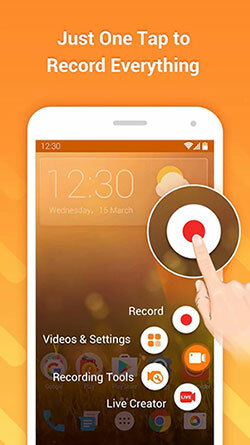 works seamlessly on Android to record various aspect of your screen such as videos, games etc. AZ screen recorder is an extremely fun to use gaming video recorder with multiple features. It has an option to pause and resume the recording. Also, you can change settings such as frame rate, resolution, bit rate etc. Plus, audio recording is also supported with app. 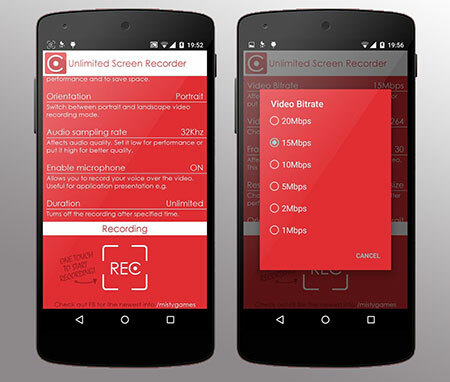 Next Game screen recorder in our list is Unlimited Screen recorder. 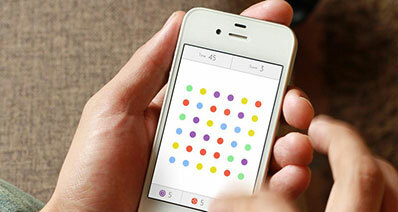 You will get used to this app very quickly as its user interface is very intuitive and easy to use. Just adjust the duration and bit rate and start recording your games, videos or anything. It’s more of a simpler recording app rather than being feature packed, but it does the task very well. This app doesn’t require rooting and also, there are no ads in the app, and no time-limit for recording. 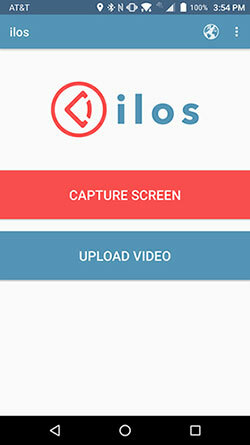 You can use this app as a game recorder and you can view the recording directly from the app or share them with your friends. There are a lot of game recorders in our list, but we have to say Telecine has the best video quality which puts it ahead of the competition. However, there is also a drawback with this app i.e. no support for audio. Apart from this, the app is vey functional, easy and feature-rich. 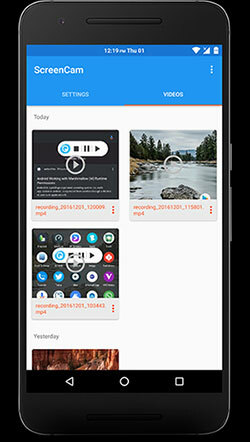 As the name suggests, Lolipop Screen Recorder only works with Lolipop or higher versions of Android and can work as a gaming video recorder efficiently. It has a basic interface which gives you the options of resolution and screen orientation only. 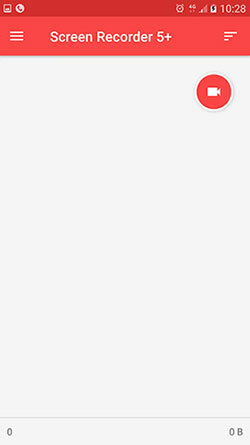 Start the recording from your app and you can press on the notification app icon to stop the recording. 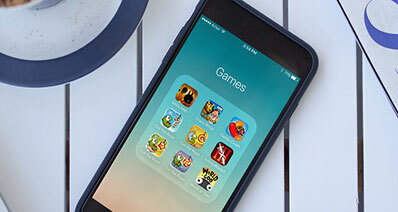 Shocked to have this app on our list? 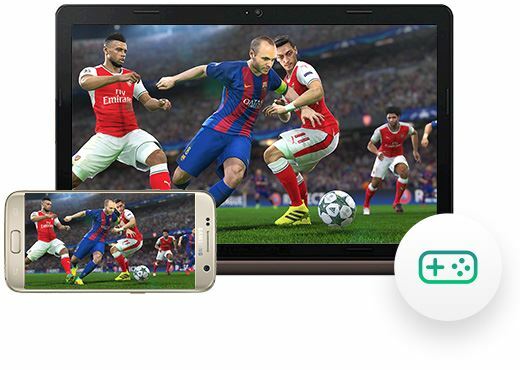 Well, many people don’t know that Google play games app can also be used as screen recording software, but it only works with games. You can launch the game directly from this app and it will start recording the game automatically. 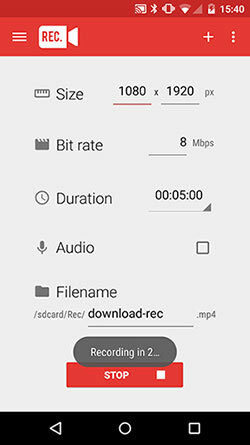 This is one of the best screen recorder apps that is available free on Google Play Store and it offers many advanced options. You can choose various elements like, the bit rate from 2 Mbps to 15 Mbps, resolution from 240p to 1080p, frame rate from 24 FPS to 64 FPS. 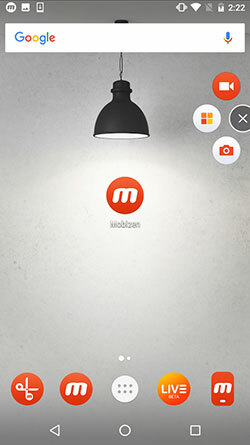 Mobizen Recorder is a premium quality free screen recorder and game screen recorder with common options like resolutions, bit rate and frame rate. With this app you get some other features too such as touch recording, video editor, countdown and face cam. ADV Screen Recorder resembles a lot to AZ screen Recorder due to its setting options which are quite similar. Regardless, this app is also very functional and can be used as gaming video recorder. 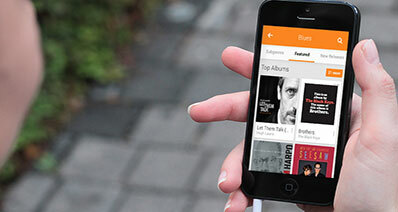 It records videos, apps and other things very well with a lot of video options to choose from. 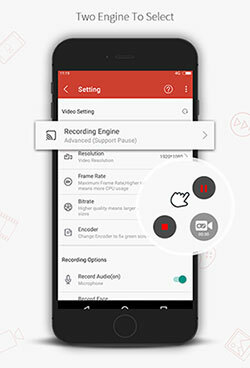 This app emphasizes a lot in its video quality capabilities which makes it one of the few apps that can record videos at 1440p resolution. Also, its minimum video quality option is 360p rather than 240p on most of the free screen video recorders. Unlike other free screen video recorders, WondershareMirrorGo Android Recorder works on PC. You have to download this app both on your PC and Android and then you can operate your Android phone from PC. 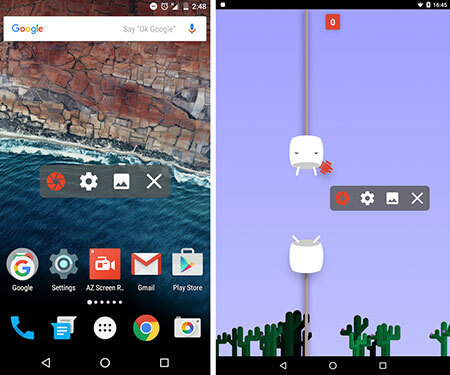 You can play games, reply to texts and of course record your Android’s screen. 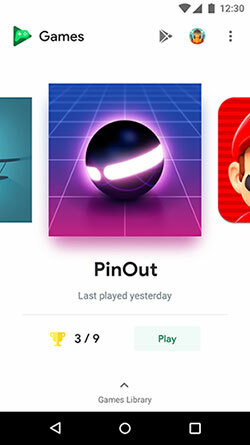 You will not find this gaming video recorder on Google Play Store but due to its unique features, we couldn’t leave this app from the list. 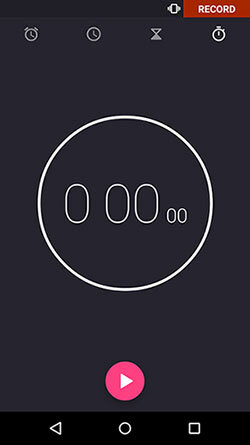 It is a free screen recorder and game recorder which you can download from its official website. One thing which it excels at is its capability to record your screen and add the front-facing camera overlay simultaneously which is very useful for YouTube videos.